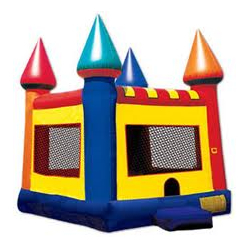 Bounce House Rentals and Party Rentals is what we specialize in. 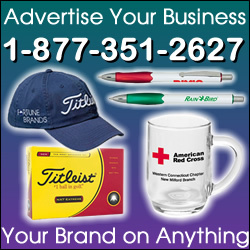 We are able to offer the lowest prices in the Western Massachusetts area based on our high volume sales. Whether your looking to rent a Giant Water Slide, Obstacle courses, or Tent Rentals for weddings and graduations we can help you save money. You will see our delivery trucks frequent the Springfield MA, Area as well as Enfield CT and surrounding areas of Westfield MA, Chicopee, and Ludlow MA. 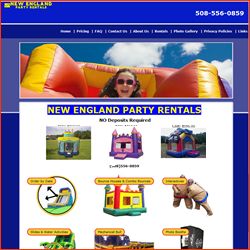 New England Party Rentals is your source for bouncy house, inflatables, jumpers, moonwalks, mechanical bull, waterslides, sumo wrestling, moonbounces, dunk tanks, slides, carnival games, and much more. Bounce house rentals are taking the world by storm. People often don’t know what to call them though: bounce house, moonwalks, jumpers, bouncers or even a kids party inflatable thing. We call them fun and we have a great selection with all of your favorite characters. We also have inflatable slides, water slides, chairs and tables, and concessions including: popcorn machines, sno-kones and cotton candy. 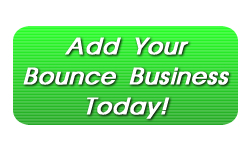 MA Moonwalks specializes in Jumpers and Bounce Houses for your next party or event! We offer the finest in inflatable rentals, games, combo units, interactive and arcade games, DJ dance and more! Safety is our first concern and we go to lengths to make sure your New England event is fun and safe for everyone. We are fully licensed and insured and you can call or visit our website to browse over the 30+ unique rentals we have available. Thanks for browsing and let MA Moonwalks (a subdivision of Crystal Entertainment Services) know any questions you might have.